I've always heard that the older you get, the wiser you become. And the last time I saw my Grandpa Bill, in July 2013, I realized just how true this was (although I never really thought of him as "old!") as he spoke the wisest words I've heard yet. We were talking about his great grandpuppies - Heather and Mr. K - and he asked when Scottie Dad and I were going to expand the family and welcome a third Scottie to the clan. Naturally, I thought the idea (and the man who came up with it) was brilliant! What was even wiser than the initial family expansion idea was his response to my claim that I would gladly give him another great grandpuppy or two... but Scottie Dad refused to let me. Grandpa Bill's eyebrows raised and he said, "Sounds like a compromise. If you gotta give up having two more Scotties, what's he gotta give up?" I smiled ear to ear all the while trying not to jump out of my chair and yell, "YEAH!" Do you see the wisdom here? Grandpas are so smart and they know just what logic to use to make sure the grandkids get what they want. Yesterday, we got word that Grandpa Bill wouldn't live to see the day Scottie Dad breaks down his guard and lets us rescue another pup. And so, tomorrow we venture to lay to rest another beloved family member and with him, those loving words of wisdom. Rest assured, Grandpa Bill, when I do convince Scottie Dad to rescue a third, I will be thankful for and thinking of you. Your grandpa gave you the strongest argument to get the third Scottie to the clan!!! MAESTRO!!!!!! Bittersweet. 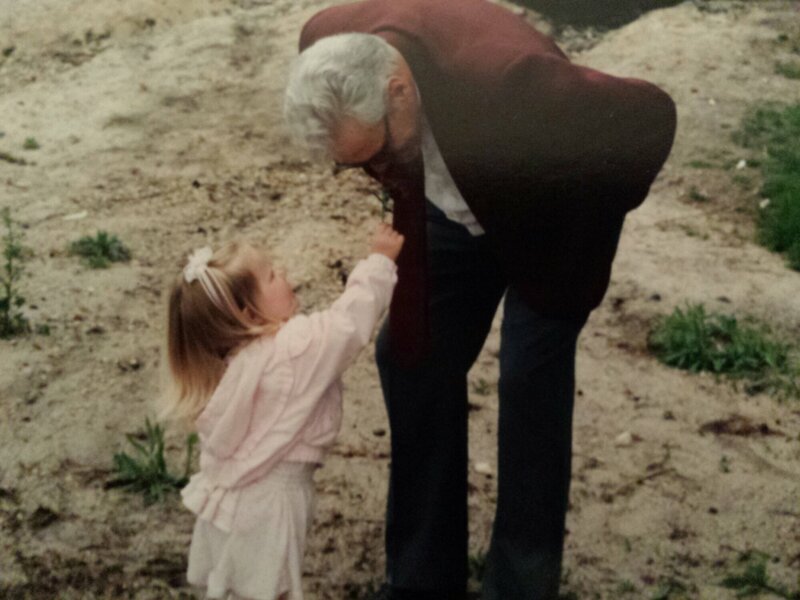 Sad for your loss of Grandpa Bill, yet glad for the wisdom that enlightened you. Hearts with you all. Me and Lucy. It's obvious that the new Scott will be named Wilhelmina or William. I am glad you have had so many great people and scottie's in your life. I love the way you write with your heart on every word. Thank You and Gold Bless and keep you strong. To everything there is a season, a time for every purpose under the sun. I wish you peace on the passing of your Grandpa. Hopefully Scottie Dad will see the purpose in rescuing another Scotty real soon. Sorry for your loss... can't wait to hear about your 3rd rescue that honors such a wise man. AAaaaarrrRRrrroOoo!